My Tattooist is an online tattoo website. User can connect with friends, artist and studios world-wide. User can create their own tattoo library- upload or save images. Reviews and ratings of all tattoo artists and studios facilitate users on the website. User can be a member, artist or studio and use the features available on the website. Mytattooist chose LogicSpice for its ability to develop for complex websites, and the first Mytattooist website version was released in the March of 2014. 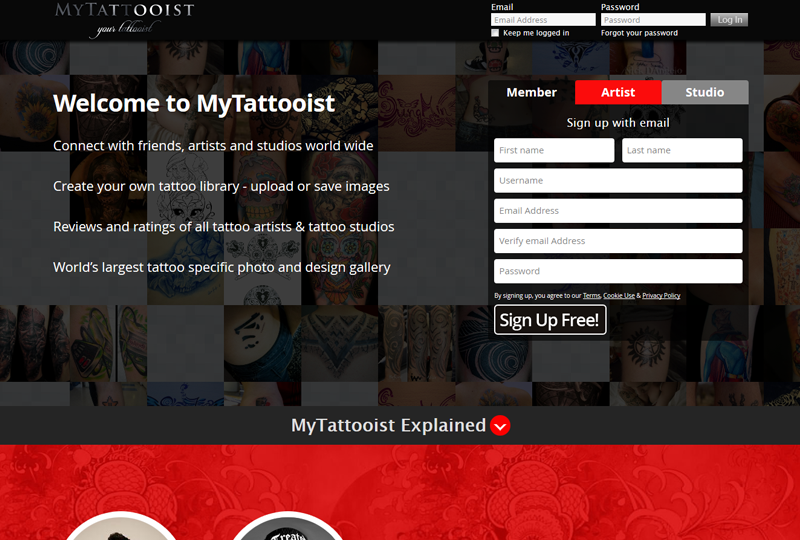 To date Mytattooist has released another version to this website by adding some new features to this website. This website is an attractive medium for member users to find artists and studios over website. Artist can register and can create their individual profile or can also register as individual studio over the website. When Studio manager will add number of artist in their studios then their account will be created and their login details will be send to their respective email id through respective credentials they will be able to login in to their account. Artists can upload the respective photos and can add #tags at time of adding photos in their account over the website. Artist will be able to access the feature as per the membership they will be subscribing over the website. Artist will be able to purchase the membership by paying respective amount through payment gateway integrated over website. Users will be able to register over website and then can search for the photos, artist or studios over the website; users can search artist or studio by typing their name and location. Users will be able to locate artists on map or can also see as list over website. Users can upload pictures can also add #tags and can like comment and rate photos. Users can follow other users on site. LogicSpice continues to provide expertise and services in support of Mytattooist ongoing program of website development.